Kigali, 26.09.2018: Let’s talk about E-Learning, let’s talk about Africa! Africa’s largest conference and exhibition on technology supported learning, training and skills development was held from 26th – 28th of September in Kigali, Rwanda. Debates and knowledge exchange sessions talked about how technology is driving transformation in education and workplace, digital literacy and digital divide, and how innovation meets strategies to improve employability. 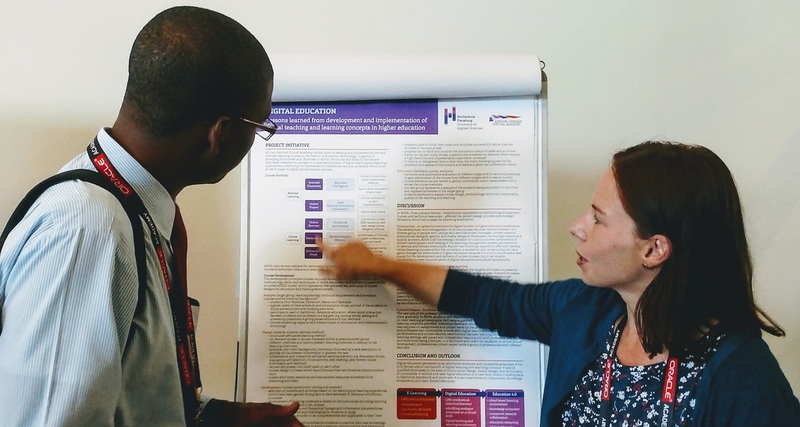 Kerstin Schultheiss got the change to interact with professionals and shared success factors and lessons learned from our African-German Virtual Academy (AGVA) during a poster presentation session. Africa is on a cutting-edge in mobile innovations with fast growing economies and the world’s youngest population. Therefore, be curious how “E-Learning made in Africa” will drive the future in education.